Optyco Laser Eye Surgery Clinic was established with the intention of providing patients with unbiased advice and offer access to the best Laser Eye Surgery Treatments and techniques available in the UK. Our team consists of experienced and trusted opticians serving the local community. These opticians are able to offer detailed specialist advice on all Laser Eye Surgery procedures. We tailor our Laser Eye Surgery treatments to your individual requirements. A single consultation is sufficient to provide you with an impartial professional recommendation and a detailed management plan. 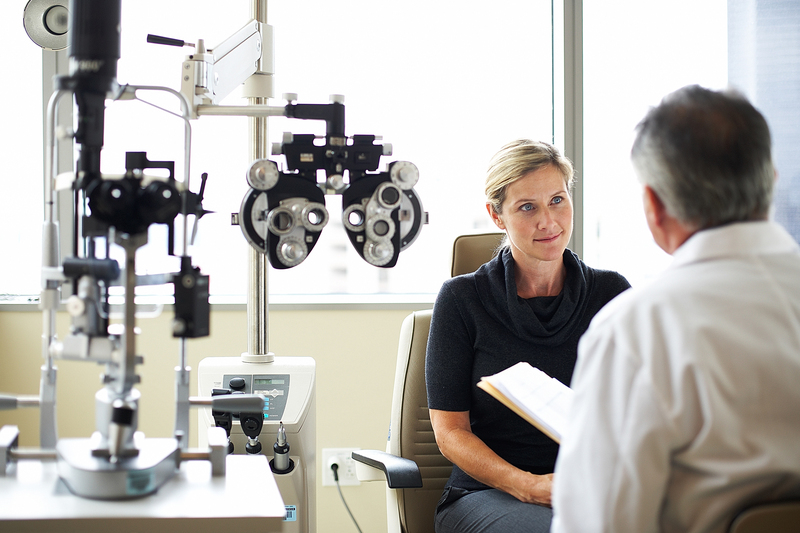 Your Laser Eye Surgery Procedure is suited to you and your needs following your consultation. You will also be advised of all potential Laser Eye Surgery Risks however small at your laser eye surgery clinic. We specialise in Laser Eye Surgery in the heart of Leicester city centre. Our team of specialist eye surgeons and opticians are qualified medical practitioners and optometrists. All our surgeons lead by Mr Mark Wevill are both NHS and private healthcare approved. We can provide you with Laser Eye Surgery, with the best quality and care. We also provide Laser Eye Surgery at affordable prices and the best Laser Eye Surgery Procedures available. Our lead surgeon, Mr Mark Wevill (MBChB, FCS (SA), FRCSEd, CertLRS, PgDipCRS) was awarded a Fellowship of the Royal College of Surgeons of Edinburgh in 1995. He has performed over 20 000 laser eye surgery operations, has had his work published in text books and is recognised as a Specialist in ophthalmology by the UK’s GMC. Optyco laser eye surgery clinic consists of a team of highly trained, caring individuals. All patient consultations are conducted thoroughly and in response to your personal needs. We aim to offer you high-quality unbiased advice, great communication, and a superb aftercare service. We will answer all your questions about Laser Eye Surgery and potential Laser Eye Surgery Risks that might be involved and take all of the time that you need. At our laser eye surgery clinic, in Leicester City Centre, we offer a free consultation to confirm your suitability. Your Laser Eye Surgery Treatments would be carried out on premises at our Care Quality Commission regulated Eye hospital. Simply book a free consultation with your local eye specialist for your Laser Eye Surgery Procedures. This specialist will perform a series of examinations and measurements to provide you with the best advice. We then appraise you of the Laser Eye Surgery Risks and a clinical recommendation. If you are suitable for laser vision correction, your optometrist will arrange a surgery day for you. All post-operative aftercare is provided at our city centre location totally free of charge after your Laser Eye Surgery. Our Laser Eye Surgery Treatments are tailored to suit you and your individual needs. At Optyco Laser Eye Clinic you will be advised of all potential Laser Eye Surgery Risks however small. We believe our patients should have all the information they need prior to Laser Eye Surgery. You will also be provided with detailed all-inclusive Laser Eye Surgery Costs before you undertake any procedure.